Page Speed & SEO is a search engine optimize super fast load, solid SEO optimize, Full responsive beautiful & clean design WordPress theme. 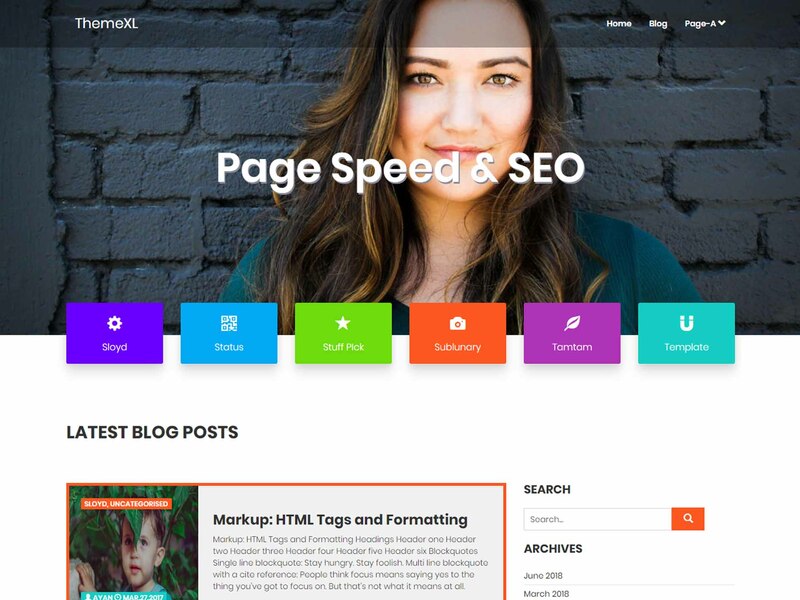 This theme helps you to achieve better and quick ranking on search engine, reduce bounce rate, improve conversion rates, visitors spent more time on your website, 100% fully responsive (mobile-ready). Our Pingdom performance grade (A), Load time 745 ms and Faster than 93% of sites. Web page performance test pass with all (A) grade, First Byte - 0.883s, Start Render	- 0.800s.